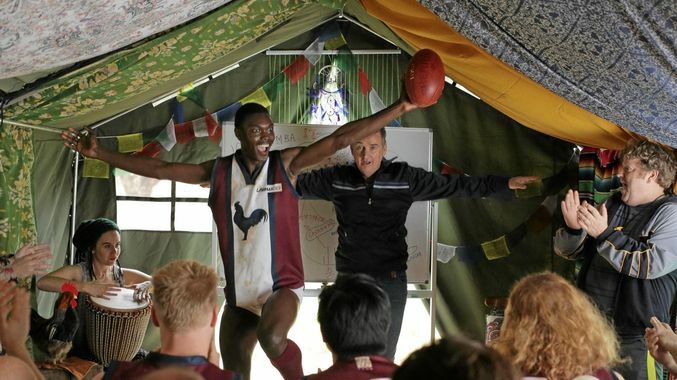 Adapted from Callinan’s one-man stage show of the same name, The Merger is a timely comedy that looks at the refugee crisis, and Australia’s response to it through the use of Bodgy Creek’s tight-knit community. 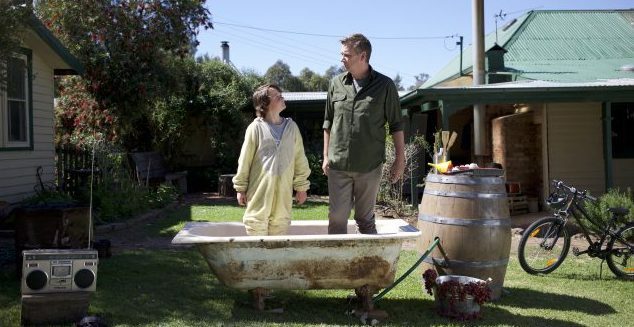 The movie has a serious streak to it, but this is first and foremost a light-hearted, very funny feature that serves as a reminder that when the Aussies make movies that focus on small town foibles and posturings, the end results are always entertaining – even when there’s a message in there too. Such is the case here, with Cullinan’s show being expanded to meet the demands of its new medium, and thanks to director Mark Grentell’s smart handling of the material, the comedy and the drama mix in such a way that neither overshadows the other. This makes for a light-hearted yet sincere movie that is as comfortable exploring topics such as xenophobia as it is in exploiting the ignorance of its characters, including bar owner Porterhouse (“Well done!”) (Gocs) and his attempts at fusion cuisine. There’s an endearing mix of humorous dialogue (“A hermit going to a stranger’s funeral is just weird”) and running gags (School Shoes’ injuries), and wry observations on a number of topics from small town politics to cultural differences. Humour aside, the movie is also well crafted in terms of its drama. Troy befriends a ten year old boy called Neil (Grierson), whose father, Angie’s husband, has died a year ago in a motorbike accident. Getting to know him by making a documentary about Troy, Neil helps bring Troy out of his “hermit” shell, and by doing so, finds he has a new father figure in his life. Inevitably, Troy and Angie begin to develop their own relationship, and while this is entirely predictable, it’s handled with deft assurance by Grentell, and Callinan ensures there’s a minimum of sentimentality involved. More successful still is the focus on what it means to be a refugee, and the toll it takes when loved ones have been left behind. Less satisfying though is Bull’s blatant prejudice, an aspect of the movie that comes across as forced rather than credible, and which is resolved too easily thanks to an unlikely intervention by Sayyid. The performances are solid, with Mulvany and Callinan sharing an easy chemistry, while Grierson is terrific as a ten year old with way too many questions (the follow on question to “What’s a monologue?” is priceless), and a neat line in honest put-downs. Each character gets their moment in the spotlight (even Stan, the team’s oldest “player”), and each actor responds accordingly. It’s also given an extra shot of vim and vigour thanks to Tony Luu’s vibrant cinematography, and its willingness to embrace (and address) the vicissitudes of small town life, all of which adds up to a movie that has much to say but which does so without being pedantic or judgmental. 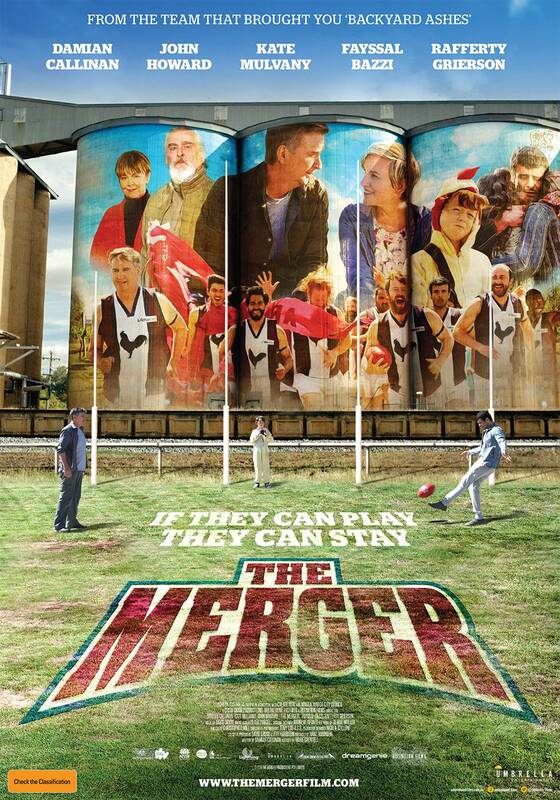 Rating: 8/10 – hugely enjoyable, and with moments of poignancy and heartbreak, The Merger is a wonderful reminder that when it comes to movies like these, the Aussies know exactly what they’re doing; charming and sincere in equal measure, its message of tolerance and inclusivity is welcome in the current international and political climate, and its positive attitude makes it exactly the kind of feelgood movie we can all do with right now.